In college, I discovered the art of studying and writing while listening to music. Some of my choices would not work for everyone: for some reason I found it helpful to listen to Smashing Pumpkins while writing term papers. Of course, I also went to college armed with Vivaldi's The Four Seasons and a four-CD set of Mozart and I listened to them regularly. For decades, science has shown that certain music can help us become more focused while studying. It is not just any type of music, however. Listening to music with a lot of words, or music that is loud and chaotic, is not going to help students focus. This kind of music is great for getting them moving during study breaks, but should be avoided while studying. A handful of classical composers are named when it comes to good studying music. 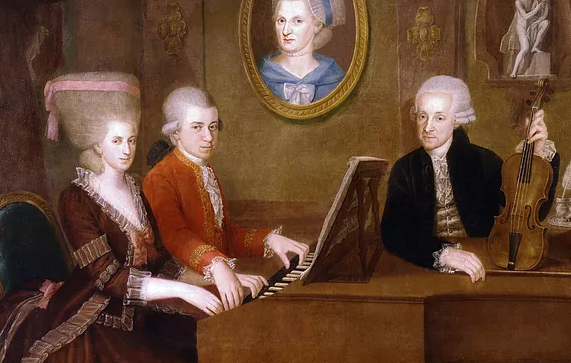 According to this Johns Hopkins School of Education article, Mozart energizes and helps students stay alert, while "Baroque music, such as that composed by Bach, Handel or Telemann that is 50 to 80 beats per minute, creates an atmosphere of focus that leads students into deep concentration in the alpha brain wave state. Learning vocabulary, memorizing facts or reading to this music is highly effective." ADDitude Magazine's article on this subject lists several pieces of music scientifically shown to increase focus. It emphasizes that it takes 15–20 minutes for the brain to enter a state of deep concentration, so these are great for extended study periods. Try them out and see which ones your student enjoys. The music does not need to be at a loud volume...playing the pieces as background music is all that's needed to aid studying.